These mate with one another (in the obvious male-to-female chain). They seem to be male-to-female banana plug adapters. Maybe I am being naive, but these seem useless. What are these useful for in practice? EDIT: They do not come apart, i.e. they are not banana plugs waiting to be soldered to wire. The only thing I can think of is that they're intended to be connector savers. 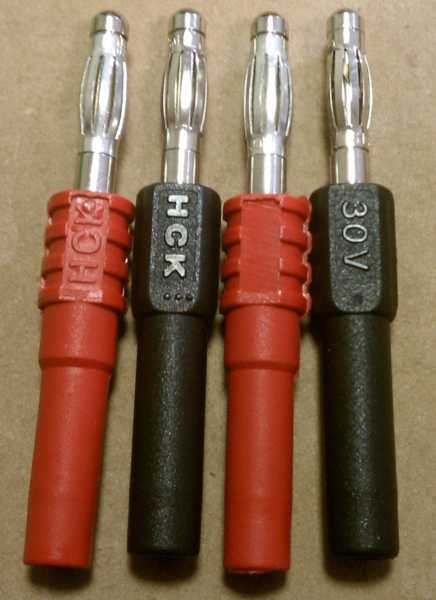 They look like they are adapters for shrouded banana plugs. As far as I can tell from your photograph, the red plugs have bodies which narrow after a ridge and the black ones have a uniformly narrower diameter. The narrow bodies fit inside the shrouds of the shrouded plugs. Not the answer you're looking for? 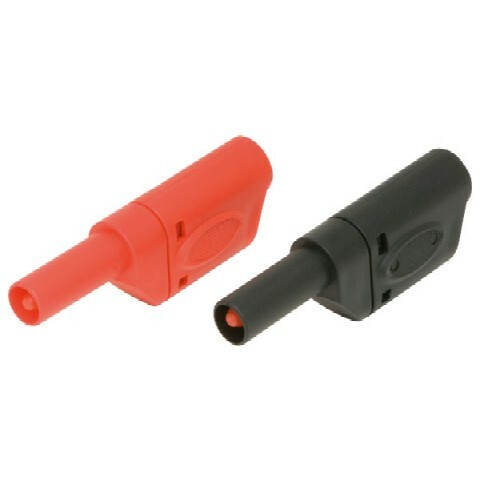 Browse other questions tagged connector multimeter probe or ask your own question. Why aren't PCB mounted male mini USB connector parts common?